And how to restore the Natural Order? to connect to the rhythm of all that is right? how to channel that flow and acknowledge the day? and to stare down the sun-Set with all of its lies? Will you stand up, regardless of reason or rhyme? but am I Black enough, Cousin? of those things that make me feel worthwhile? that somehow I am “right-skinned”?! when fashions come and go all the time? am I really Black enough? to claim your identity as my own? OSAZE DOLABAILLE is a singer, poet and drummer who was born on the Caribbean island of Trinidad. He was brought to the city of Toronto, in Canada while still very young. It was here that the adult Osaze would be awakened: to the reality of his Afrikan identity, an appreciation of Afrikan history and the validity of Afrikan spirituality. Thus inspired, he has been performing at community events, spoken word and poetry readings, and concerts since 1998. 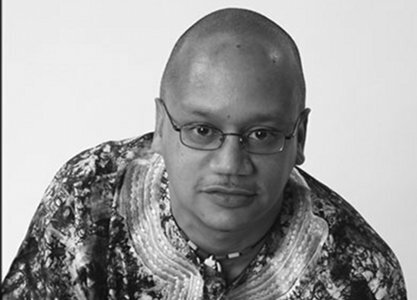 He is currently the president of Baro Dununba, a Toronto based music ensemble and philanthropic organization. Along with Baro Dununba, he has performed as part of Muhtadi’s World Drummers, Quammie Williams’ JUMP Collective and the New Dimension Steel Orchestra. Poetic collaborations have included the International Festival of Poetry of Resistance and T Dot Griots anthologies. In 2007 he released his first book entitled, Rebirth of the Warrior Poet. This self-publication afforded him the opportunity to participate in both the 2007 Caribbean Canadian Literary Expo and the Organization of Calypso Performing Artistes’ Calypso Tents Music Series as part of Caribana 2007 (aka Toronto Caribbean Carnival).